The International Hot Rod Association (IHRA) Summit Team Finals are scheduled for two different divisions this weekend. Teams from Division 1 (Patriots) will compete at Maryland International Raceway in Budds Creek, Md., and those from Division 2 West (Heat Wave) will race at Memphis International Raceway in Millington, Tenn. In addition, Palm Beach International Raceway will now host the Summit Team Finals event originally scheduled for Immokalee Regional Raceway on Oct. 4-8. Hurricane Irma severely damaged the Immokalee facility earlier this month. Each region hosts a Summit Team Finals for every IHRA division. Any Summit SuperSeries competitor, who has an IHRA membership and an “X” number registered and valid according to IHRA records from May 1 through his or her division’s Summit Team Finals event, can win the Summit Team Finals main event championship and become eligible for the Summit SuperSeries World Finals at Memphis on Oct. 20-22. Division 1 (Patriots) features top tracks from the Mid-Atlantic region. Besides the host facility of Maryland, other tracks represented are: Sumerduck Dragway, Capitol Raceway, U.S. 13 Dragway and Richmond Dragway. Maryland International Raceway is the defending team champion, while last year’s individual winners included: Richard Jelich from Capitol in Top, Alan Thatcher from Sumerduck in Modified and Jacob Nahory from Capitol in Junior Dragster. Division 2 West (Heat Wave) includes some of the top tracks from the Mid-South region: Memphis International Raceway, Holly Springs Motorsports, London Dragway, Middle Tennessee Dragway, Mountain Park Dragway, Knoxville Dragway, Brainerd Optimist Dragstrip, Gulfport Dragway, Ozark Dragway and Mo-Kan Dragway. Memphis International Raceway won last year’s team title. Drivers from Memphis captured both Top and Modified wins. Kenny Bomar won the Top division and Jesse Rogers went home with the Ironman for Modified. Jake Clayton from Brainerd Optimist Dragstrip was the Junior Dragster winner. 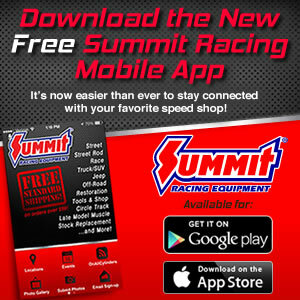 For more information, refer to the Summit SuperSeries rules page on IHRA.com.